Location, location, location. 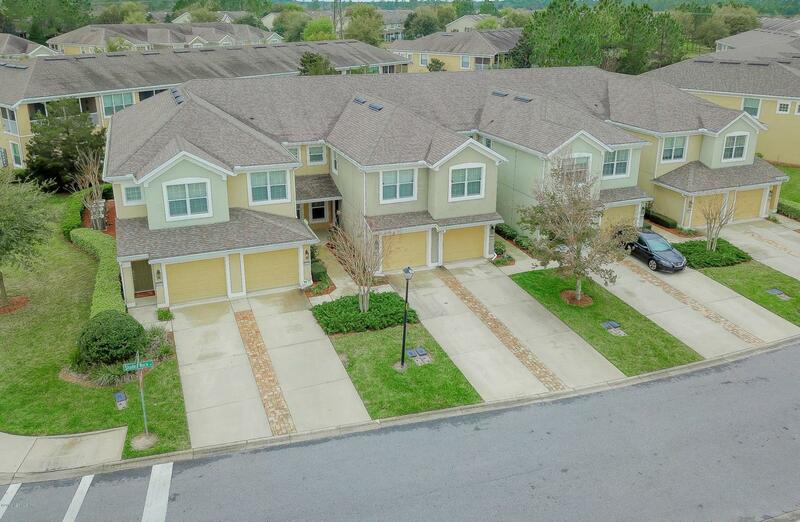 This beautiful condo is convenient to I-95, 9B, the NEW Durbin Park Town Center, St. Augustine and Outlet shopping. This condo offers 3 bedrooms, 2 baths (Adult height vanities) open floor plan. Beautiful Great Room includes Vaulted Ceilings, Formal Dining Room, Huge screened-in balcony is another living space to place your outdoor furniture and enjoy a phenomenal view. 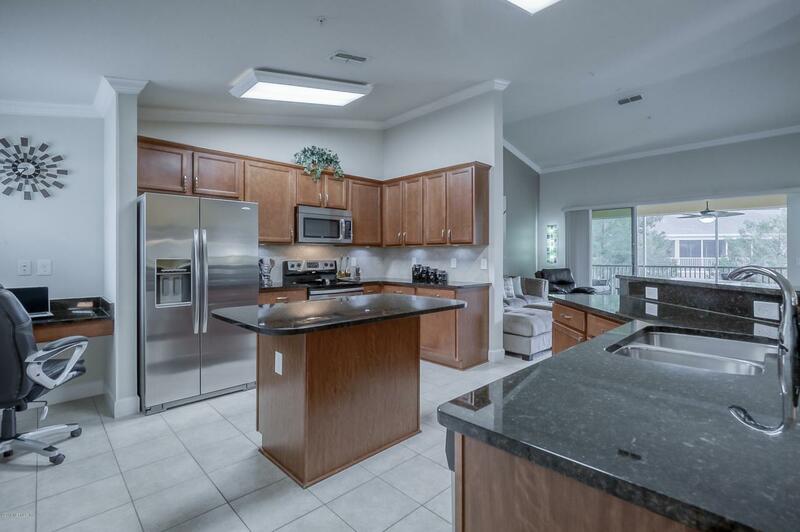 Kitchen with 42'' cabinets, Upgraded stainless steel appliances, Granite counter top, Kitchen Island, breakfast bar, tile backsplash, w/ extended desk area/counter. 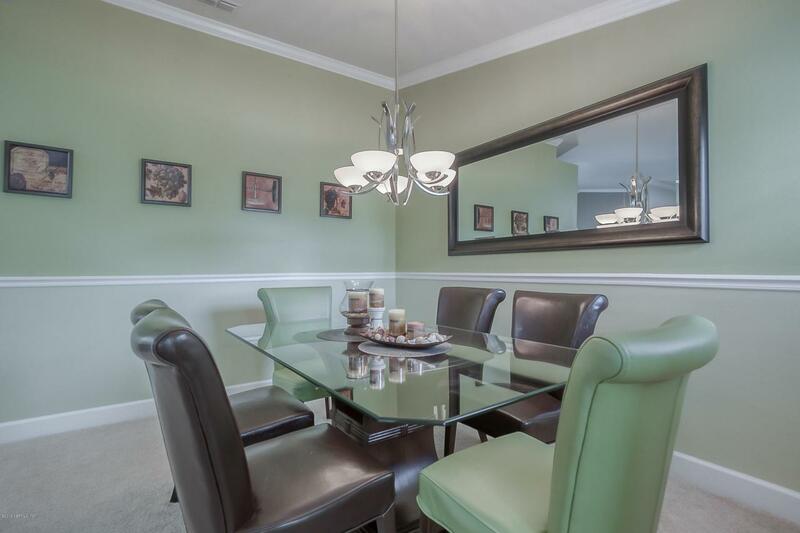 Elegant Crown molding and 5 1/4 baseboards abound. Split bedrm design is a plus and allows for privacy. 2nd bathrm inclds wall tile and listello, 3 linen closets throughout. 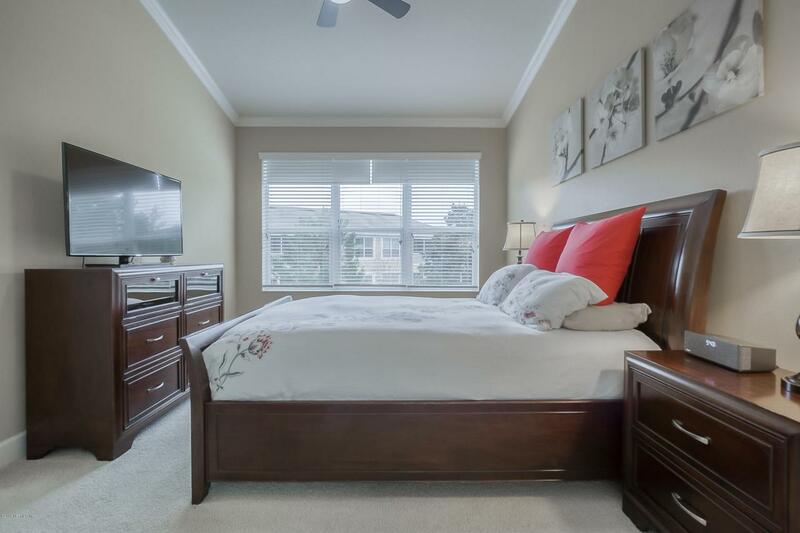 Master bdrm has Graber custom blackout system, Ceilingfans in every bedroom, There is even a 1 car garage attached to the unit with private access to your home. Tile floors in wet areas and carpet with 8 lb padding in bedrooms. Water softener included, as well as garage door opener, additionally garage floor is painted for extra protection. Whether you walk, drive or ride a bike you're close to everything you could possibly need or want. Restaurants, shopping, entertainment, schools, hospitals, interstate, beaches, downtown, professional buildings and so much more....If you are looking for an easy lifestyle, then this is A Must See!